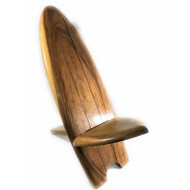 Tropical furniture: Teak surf chairs and surf coffee tables are a great way to enhance your tropical outdoor area! Our reclaimed teak is used for our popular pedestals, coffee and end tables. 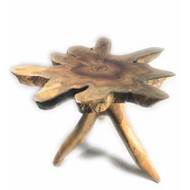 Made of teak, they are perfect for indoor or your lanai area. Each has been hand carved with great attention to details. Surf style decoration: Surf Chair & Coffee Surf Table!